ALEXANDRIA,VA (June 5, 2017) – The Marine Corps Scholarship Foundation announced that 2017-18 scholarships will be the highest in its 55-year history, totaling $7.3 million to more than 2,300 students. These funds will provide much-needed and -deserved access to education for the children of Marine and Navy Corpsmen attending post-high school, undergraduate and career technical education programs in all 50 states. The announcement was made during the Scholarship Foundation’s 31st Annual Washington, DC Celebratory Gala. 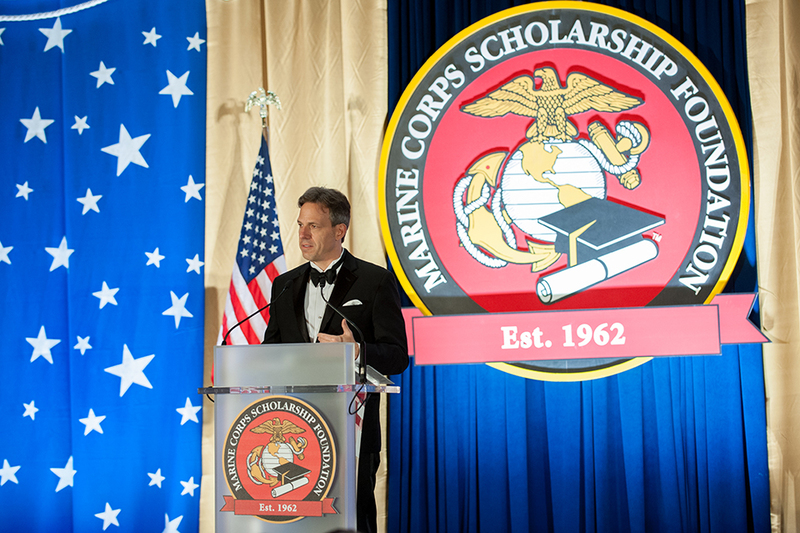 The event, emceed by CNN’s Jake Tapper, brought together significant representation from senior leadership of the Marine Corps, Washington dignitaries, Members of Congress and scholarship recipients to recognize Marines by enabling their children to pursue dreams of a college education. General Robert Neller USMC, the 37th Commandant of the Marine Corps, was the event’s Military Guest of Honor. Additionally, the Scholarship Foundation honored Major General Arnold Punaro USMC (Ret.) with the Commandants Award, and The Honorable Rodney Frelinghuysen with the Semper Fidelis Award. Also in attendance were scholarship recipients like Cameron Arias, whose award allowed him to graduate from Embry-Riddle Aeronautical University in 2016. About the Scholarship Foundation: Established in 1962, the Marine Corps Scholarship Foundation is the Nation’s oldest and largest provider of need-based scholarships for military children. Since its inception, the Scholarship Foundation has awarded $120 million in scholarships to 40,000 recipients. For more information on the Marine Corps Scholarship Foundation, please visit http://www.mcsf.org/.